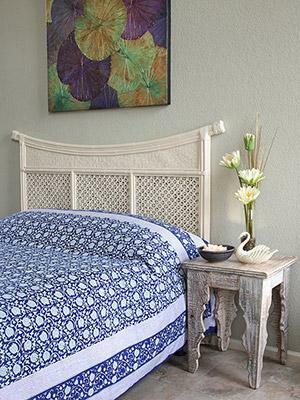 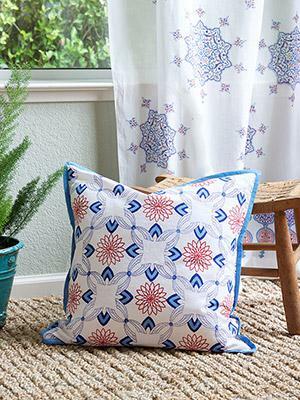 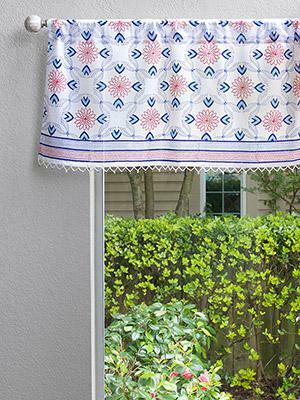 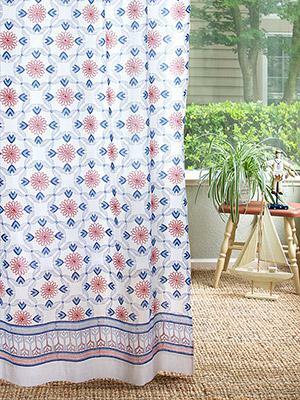 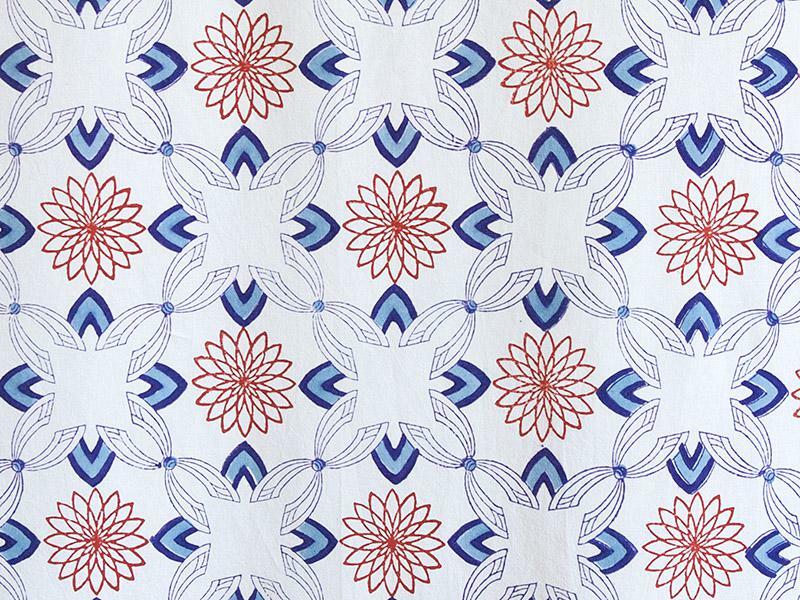 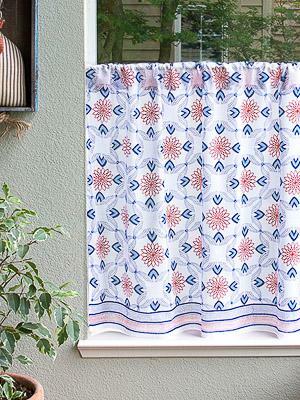 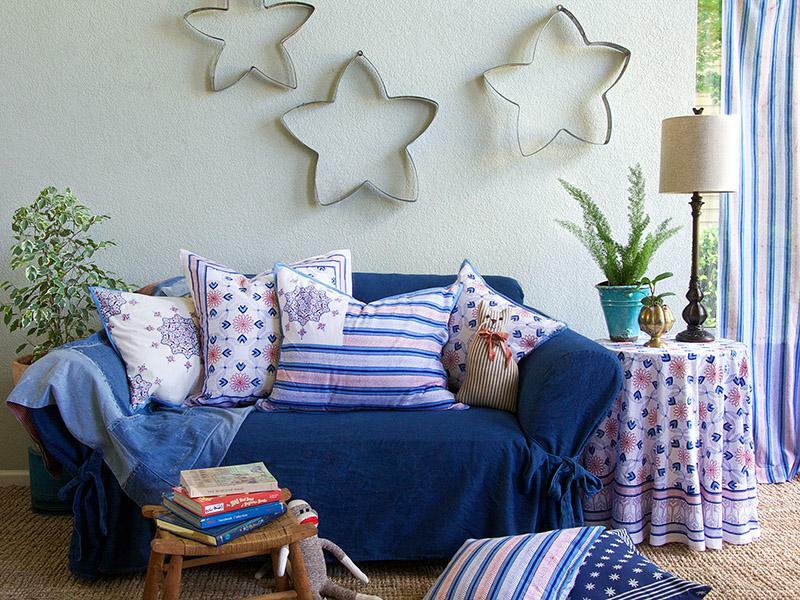 An all over light, country feel geometric print of trellis like squares in chambray and navy blue, alternately frame vintage Spirograph inspired red spiral star bursts, patterned on a white ground. 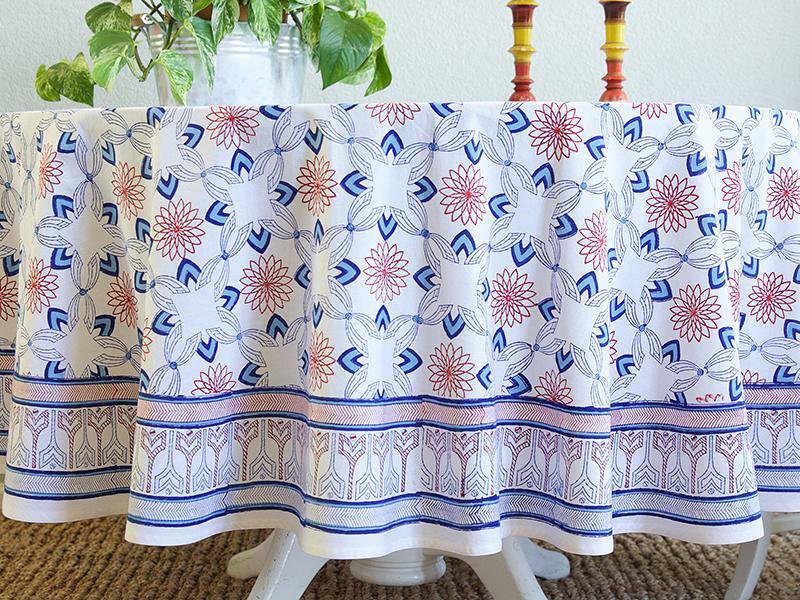 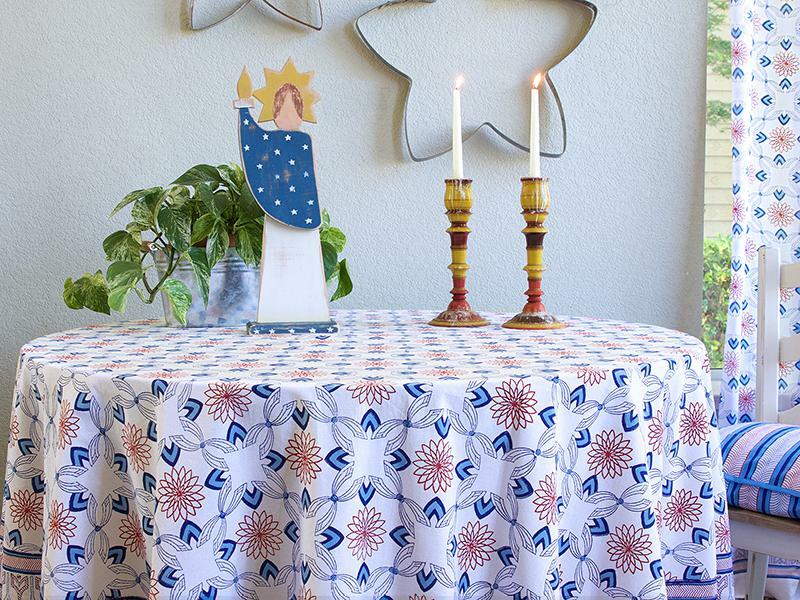 Use our colorful cotton tablecloths to set the mood you want to create, regardless of the occasion. 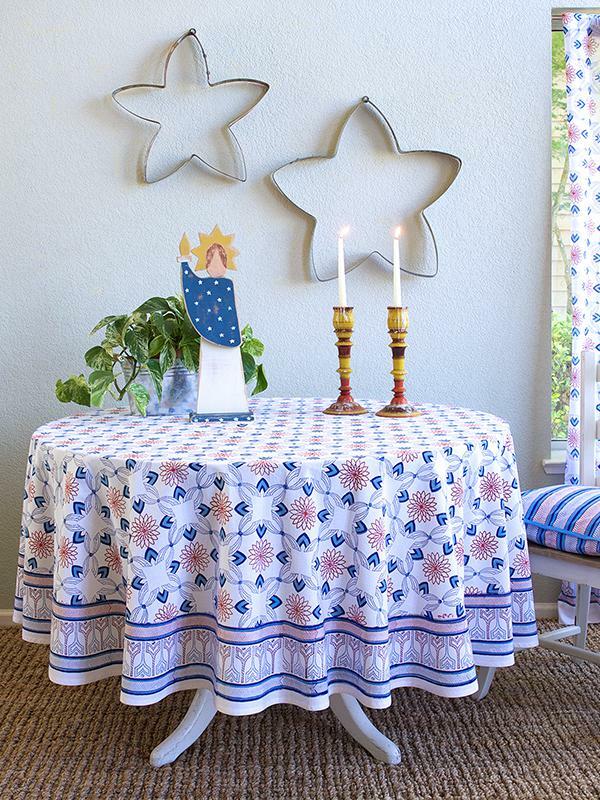 So whether you are ... [ read more ] looking for colorful picnic table cloths, or something cheery for your country kitchen or even a decorative atmospheric setting for an elegant formal dinner party; this luxury cotton tablecloth is sure to add vibrant color and drama to the banquet.